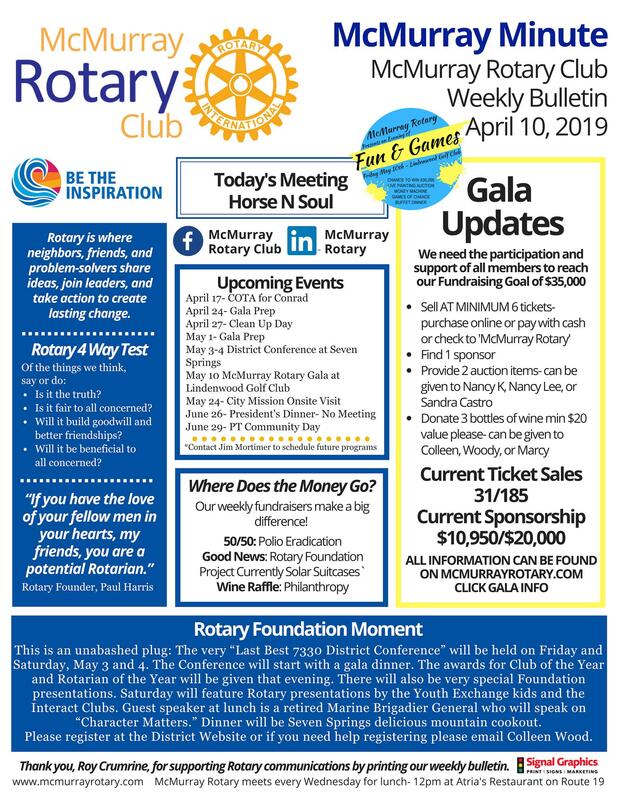 We are very low on involvement for the McMurray Rotary Annual Gala and the event is exactly one month away! You are welcome to purchase online via the button below or pay with cash/check to McMurray Rotary. A summary of events, the fundraising goal, and available sponsorships can also be found in this email.